I don't know... I think this has been miscaptioned. The 57th had steel helmets and garand rifles. When I got to the page my first reaction to the photo was something along the lines of "...whoa...makeover?" and "...ookkay this is something the reenactor community can definitely chew on...new look!" specific details/detachments, wearing the "service cap" was some sort of an ad-hoc order? went that plan. They hurried back to the rear. No swap for the two. 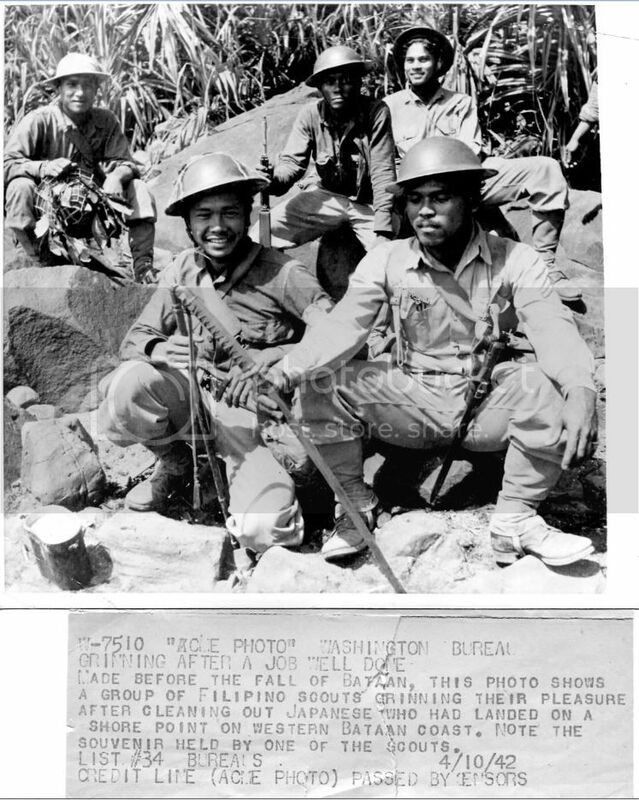 I think it was a case of either Melville Jacoby seeing Filipino soldiers and not knowing exactly which are Scouts vs. others... or the editors of the book not knowing which is which. Because this is what they looked like with the correct caption. Notice the M1 in the back and even though they were not totally uniform, still retained that similar "field gear" look. If I were to guess... the picture in the first post was of Phil. Constabulary, who were also involved in the Battle of the Points. Hey Vic....I gotta think you are "right on" as to the individuals in the first pic, probably, being Constabulary troops. The tough looking hombres in the last photo are, obviously, "RA", Regular Army, to the core. I would want them on my side in any kind of fight, whether it be actual military combat or a back alley brawl on "Payday Night". Cheers. 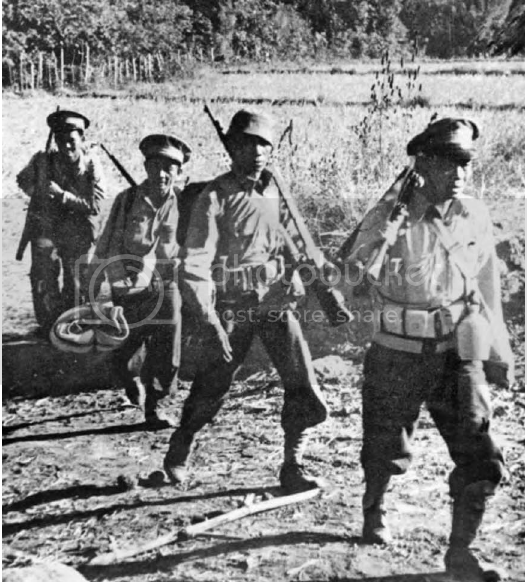 The soldiers in the first posting have "police" hats so I'm thinking they were constabulary.